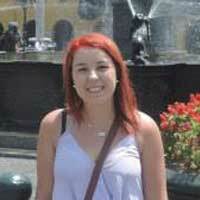 Courtney is a former Australian participant on our Camp Counselor USA Program. She worked at Camp Towanda for the summer. She first traveled internationally when she was 14, and since then, has been to New Zealand, back to the USA, Papua New Guinea, Thailand, the USA again, the Caribbean, Peru, Bolivia, Argentina, Chile, and Malaysia. She has a strong desire to see and experience everything this world has to offer.